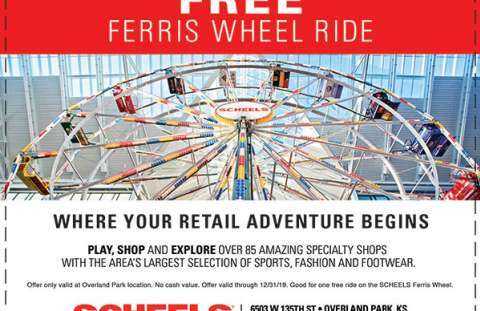 Come for the renowned Museum at Prairiefire and stay for the shopping, events and food! Prairiefire is an exciting retail and entertainment district that offers a thoughtfully curated mix of boutiques interspersed with seven restaurants and several attractions. Prairiefire is among the best destinations in Kansas City for on-trend fashion. Start your shopping at Anaphora, a modern clothing boutique stocked with chic, refined accessories and apparel. From there, explore the head-to-toe looks available at Adorn or the heartland-inspired mix of boutiques located inside Threshing Bee, including the locally designed apparel and accessories at tomboy, all of which is carefully made by a skilled team of cut and sew specialists. Made in KC is your destination for all things Kansas City. The shop (one of two locations in the Kansas City area) includes merchandise from more than 50 local creators and makers. Grab a T-shirt, glassware, leather goods, jewelry and much more. Once you’re done shopping, make plans to stay all day at Prairiefire. Catch a movie at Cinetopia Theaters, a Digital Super HD theater experience that makes you feel like you’re part of the film. 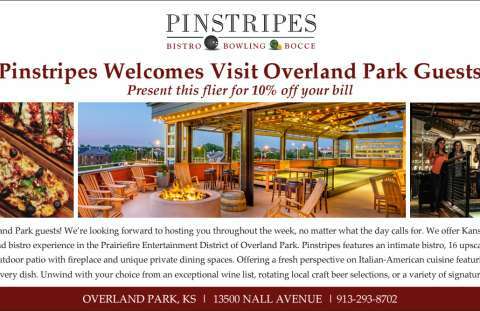 Play a game of bowling or bocce at Pinstripes, or take the fun outside and explore the Wetlands at Prairiefire, complete with a walking trail and natural neighborhoods that celebrate the nature and biology of Kansas.